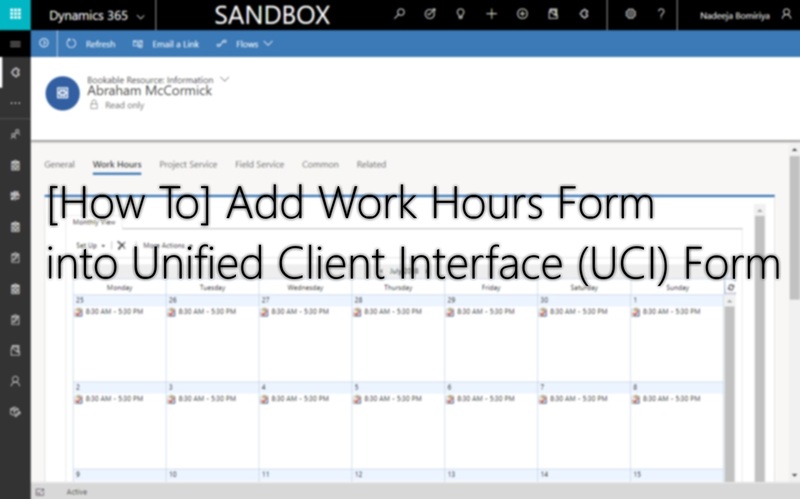 In a previous post, I demonstrated how to add the Schedule Board into Unified Client Interface (UCI) App or Unified Interface (UI) App. Microsoft is working hard to get UCI feature parity with Web UI but some important features are not there yet. In this post, I am going to demonstrate how to add the Work Hours Form into a Unified Interface form. 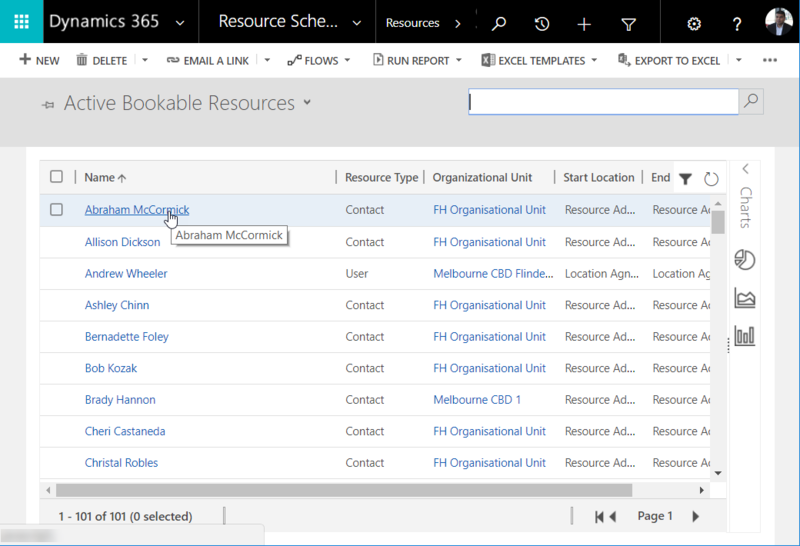 Click on a Resource to open the record. 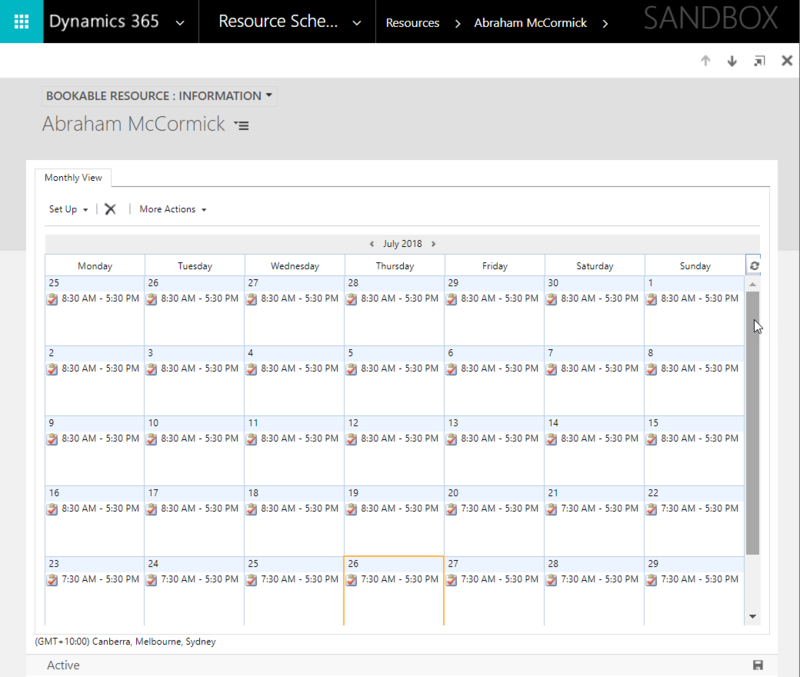 Click on the arrow next to resource’s name and click Work Hours. You can now see the Work Hours Form. This form is used to set the work hours of the resource. In this post, I will not go into details about how to set up the work hours. In UCI, Work Hours form is not available. Following steps are required to display the Work Hours form in Resource form. Below are the important sections in the code. formid is a constant for all instances. oId is the Resource record’s GUID. oType is a constant for all instances. Note that the src attribute is empty. The OnLoad() function runs on load of the form. 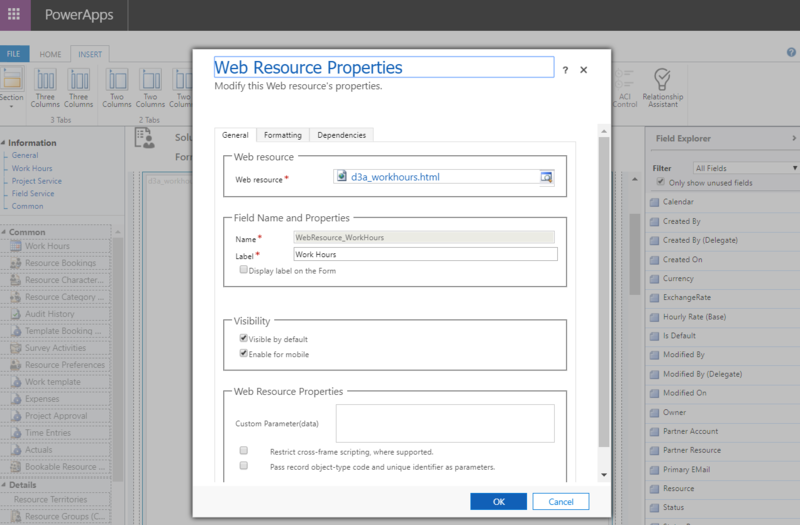 It extracts Resource record’s GUID and creates the full Url of the Work Hours form and sets the src attribute of the iframe. 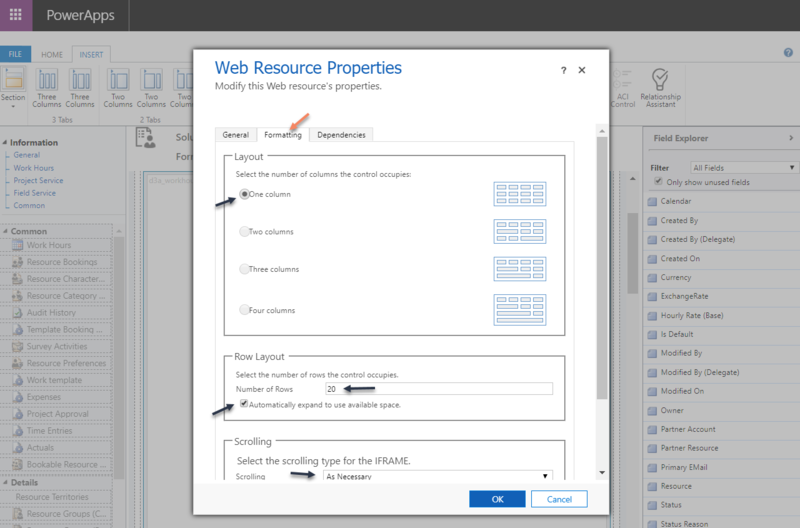 Create a web resource and publish. 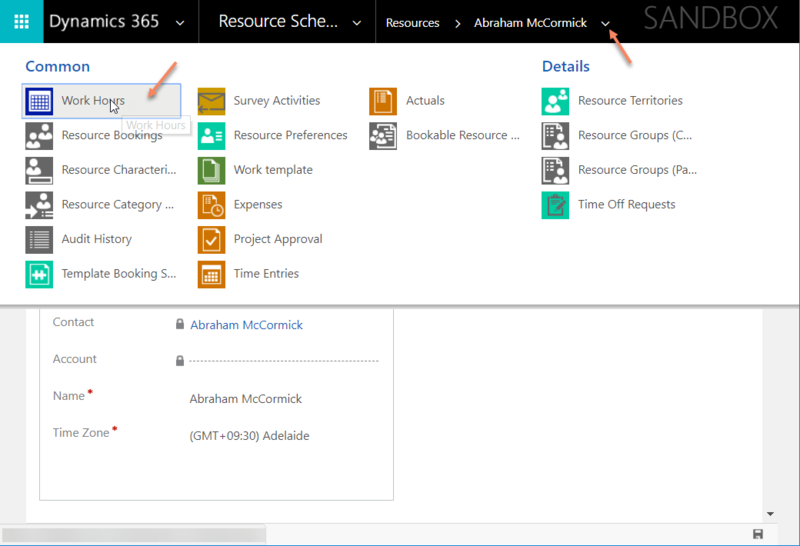 Now Insert the web resource into the section on the Work Hours tab. Note the settings of the above images. 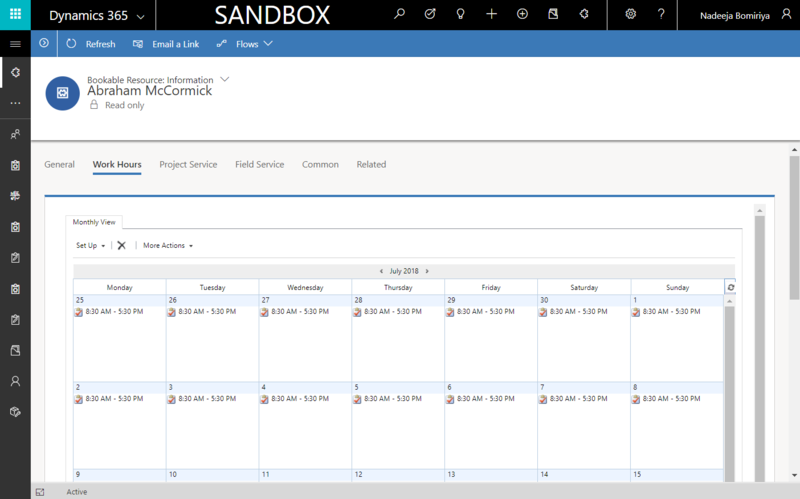 Layout = One Column, Number of Rows = 20, Automatically expand to use available space = tick, Scrolling = As Necessary. Click OK and Publish the form. Now the Work Hours form is visible on UCI Resource Form. OOTB, UCI Apps don’t have the Bookable Resources entity. You’ll need to add that in.